Despite tough conditions in some key markets, we achieved our best ever full-year global sales in 2017 with retails of 621,109 vehicles, up 7% on the prior year – more than triple the 2009 figure. Our seventh successive year of sales growth was driven by the introduction of new models into new and existing segments, increased uptake of its Ingenium clean diesel and petrol engines and the development of its manufacturing operations around the world to increase capacity. Jaguar sales were up 20% for the year, retailing 178,601 vehicles. This was our strongest ever full-year performance and was driven by sales of the Jaguar F-PACE, XE and XF, including the all-new XF Sportbrake. Land Rover retailed a record 442,508 vehicles in 2017, up 2% on 2016. The best-seller for the year was the Discovery Sport, retailing 126,078 vehicles. Also notable were sales of the Range Rover Evoque and Range Rover Sport, selling more than 190,000 vehicles in 2017. During 2017 we celebrated 160 global awards, which included the F-PACE being named the ‘World Car of The Year’. The company received the ‘Excellence in Manufacturing’ and ‘Technology Pioneer of the Year’ awards. In addition we were awarded ‘CompanyBest 2017’ by Autobest, for consistency in innovation, growth and global investment. Growth in China and the USA helped offset the impact of difficult market conditions in the European, UK and Overseas markets. China was our largest sales region in 2017 with annual sales of 146,399, up 23% year-on-year. North America reported a calendar year record with sales of 128,097, 9% up on the previous high in 2016. 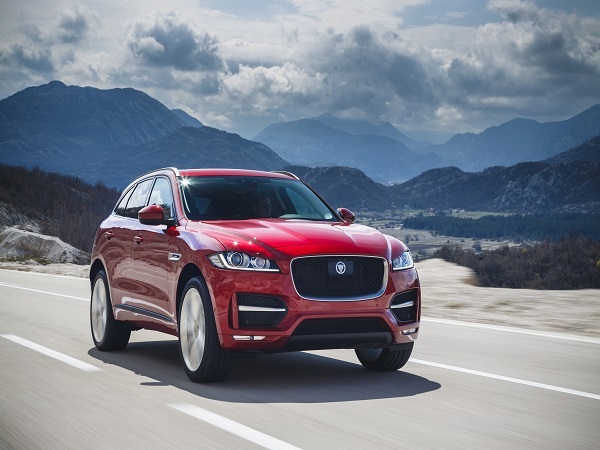 The UK also showed a solid performance with sales of 117,748 Jaguars and Land Rovers, on a par with the 2016 record and bucking the overall trend in the company’s domestic market. Similarly, our retail sales were 138,643 in Europe, in line with the previous year despite difficult market conditions in the region. Sales were down 0.5% down in other Overseas markets. Andy Goss, Jaguar Land Rover Group Sales Operations Director, said: “We have once again delivered year-on-year sales increases thanks to a world-class product range and new models such as the E-PACE and Velar, as well as China-specific models such as the XFL. This year sales will ramp up for forthcoming models going on sale in the coming months including Jaguar’s new E-PACE compact performance SUV, the refreshed Range Rover and Range Rover Sport (including plug-in hybrid models) and the Jaguar I-PACE electric performance SUV.